On Friday, March 18, 2005, doctors removed the feeding tube that had sustained Ms. Terri Schindler Schiavo, a young woman who had suffered brain damage as a result of cardiac arrest in 1990. Schiavo died two weeks later, ending the case that had captured national attention, pitting experts against one another, legislators against judges, and Schiavo’s family of origin against her spouse and his family (“Schiavo’s feeding tube removed,” 2005). The Schiavo case underlined numerous issues that were important in our national consciousness. First, experts disagreed about whether Schiavo was in a persistent vegetative state, an irreversible condition in which cortical functioning ceases but brainstem functions, such as heartbeat and respiration, remain intact. Schiavo’s state also raised questions about the role of that amorphous concept, “quality of life,” and how it factors into our thinking about death. What is “quality of life”? Who decides what “quality of life” is sufficient to justify sustaining life? Had Schiavo completed an advance directive, or written instructions about her health care, her wishes would have been clearer after she became incapacitated. Terri Schiavo was a young woman, 26 years of age, when she suffered cardiac arrest. Most people would never think of someone in her twenties as needing an advance directive. Perhaps one positive outcome in this otherwise tragic tale is that it forced the issue of quality of life, and end-of-life decisions, into our awareness, despite our best efforts to avoid thinking about such things! It has been said that one way to tell how uncomfortable a culture is with something is the number of euphemisms for it. It is no accident that western culture boasts a multitude of euphemisms about death. “Six feet under,” “bought the farm,” and “kicked the bucket” are only a few. At the same time, “death language” creeps into our everyday conversations. For example, a job with no foreseeable opportunity for promotion is a “dead-end” job, and someone who finishes last in a race finishes “dead last.” Death appears to be disquieting for our society. In this article, we explore the psychology of death, dying, and bereavement, as well as relevant medical, legal, social, and political issues. Clinical death, also known as cardiac death, is defined by lack of heartbeat and respiration. However, medical advances have resulted in the ability to extend life far beyond what could have been anticipated. Therefore, it has become necessary to define a state in which there is catastrophic, irreversible loss of brain function, including brainstem function. This has become known as brain death (Puswella, Devita, & Arnold, 2005). The determination of brain death is a complex clinical process. First, the clinician rules out reversible causes of the patient’s condition, such as sedation or hypothermia. Second, clinical tests are performed to ensure that the criteria for brain death are met. Several of these criteria are (a) no spontaneous movement, even in response to painful stimuli; (b) no seizures or posturing; (c) no cranial nerve reflexes, such as the pupil’s response to light; (d) no spontaneous respiration when the patient is given 100 percent oxygen and removed from the ventilator; (e) a flat EEG; and (f) absence of blood flow to the brain (Puswella, Devita, & Arnold, 2005). 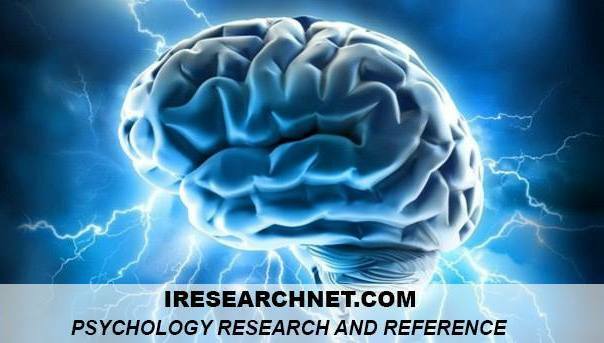 However, definitions of brain death differ among countries. According to Elliott (2003), the United States and many other countries have adopted a whole-brain definition of brain death, which involves the cessation of all brain function. However, the United Kingdom has adopted a definition known as brainstem death, in which loss of brainstem function is sufficient to be declared brain dead. As noted, when a patient’s cerebral cortex stops functioning, but brainstem functions remain intact, and this condition is irreversible, a persistent vegetative state is present. 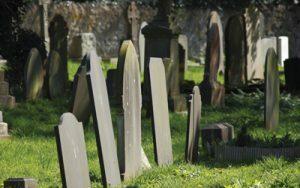 Death Statistics: How and Where Do We Die? The National Center for Health Statistics compiles all death records and produces an annual report of deaths in the United States (Minino, Heron, & Smith, 2006). In 2004 the top 10 causes of death were as follows: (a) heart disease, (b) cancer, (c) cerebrovascular disease, (d) pulmonary disease, (e) unintentional injuries, (f) diabetes, (g) Alzheimer’s disease, (h) influenza or pneumonia, (i) kidney disease, and (j) septicemia. This list has changed dramatically from 100 years ago, when most people died from rapidly progressing infectious diseases rather than chronic conditions. These changes in cause of death have significant implications for our experience of death. By far, most deaths in the United States occur in hospitals or other health care settings such as nursing homes or hospice centers. However, this statistic varies by demographic variables, as well as by cause of death. For example, in a study of adults aged 65 and older, Mitchell, Teno, Miller, and Mor (2005) found that 66.9 percent of patients who died from dementia (such as Alzheimer’s disease) died in nursing homes. On the other hand, patients with cancer were nearly equally likely to die at home (37.8 percent) or in the hospital (35.4 percent), and deaths from all other conditions were most likely to occur in the hospital (52.2 percent). Other studies have found that African American and Latino patients are more likely to die in the hospital, and less likely to die at home or in hospice care, than are white patients (Iwashyna & Chang, 2002). Because of the likelihood that advanced life-sustaining techniques will be used should a patient become incapacitated, advance directives help ensure that the patient’s wishes for treatment are represented. There are two kinds of advance directives. A living will is a document that informs health care providers of patients’ wishes should they become incapacitated and unable to speak for themselves. It specifies the treatments the patient wants, and those the patient does not want, under those circumstances. However, a living will only covers those situations that can be anticipated, so most experts also recommend that the patient give durable power of attorney for health care to a trusted person. Durable power of attorney for health care, also known as a health care proxy, means that the patient has designated someone to make medical decisions, if the patient becomes incapacitated and unable to speak for him- or herself (Crane, Wittink, & Doukas, 2005). A living will and durable power of attorney for health care are the most frequently employed advance directives. However, people sometimes use two additional directives. A medical directive is a questionnaire in which patients report what treatments they would desire under a variety of medical circumstances, and a values history is an open-ended questionnaire in which patients discuss health-related values, and what decisions clients have made on the basis of those values. Finally, a DNR, or do not resuscitate order, is filed with a physician or hospital, and states that the patient is not to be provided cardiopulmonary resuscitation in case heartbeat and respiration stop (Crane, Wittink, & Doukas, 2005). Underscoring the need for patients to understand their options for end-of-life care, Congress passed the Patient Self-Determination Act of 1990. It requires hospitals, nursing homes, and other health care facilities who that receive Medicare funds to inquire about any advance directives the patient might have prepared, inform patients of their rights in this area, and make these conversations part of the patient’s medical record. Decisions regarding end-of-life care are more complex than they might seem, and are influenced by cultural factors. For example, research has indicated that African Americans are less likely than other ethnic groups to complete advance directives. According to Bullock (2006), reasons for this may include religious faith, differing views of suffering (e.g., seeing suffering as necessary or even Christ-like), reliance on social networks for making end-of-life care decisions, or mistrust of the health care system. Because of the number of people in the United States who die from chronic conditions with a deteriorating course, it has become important to examine alternatives to prolonged and aggressive medical treatment when the patient’s condition is terminal and the patient is suffering. Palliative care is defined as care that focuses on relief from symptoms, including both relief from physical pain or discomfort and relief from emotional suffering. It is differentiated from curative care, which focuses on treating the disorder that is causing the symptoms (National Hospice and Palliative Care Organization, n.d.). A patient need not have received a terminal diagnosis to receive palliative care, and palliative care can be combined with curative care, either in a hospital or another setting. For example, a patient with cancer may receive both pain management (palliative care) and chemotherapy (curative care). What constitutes good palliative care—that is, what aspects of palliative care are important to the patient’s quality of life? Results from a Seattle-based pediatric palliative care program indicated that the program’s focus on effective communication, support for decision making, and early partnership with insurance companies to defray costs had a positive influence on health-related quality of life, as well as emotional well-being (Hays et al., 2006). Hospice care is specific to terminally ill patients, and it often includes palliative care. Hospice care emphasizes a team-oriented approach to dealing with a life-threatening illness or injury including medical care, symptom management, and support for the patient and family. Hospice care may take place in a hospital or other health care facility, but more frequently it occurs in the patient’s home, where family members undertake much of the care (National Hospice and Palliative Care Organization, n.d.). In 2004, there were approximately 3,650 hospice programs, serving approximately 1,060,000 patients in the United States alone (Schonwetter, 2006). As with the use of advance directives, there are large racial differences in utilization of hospice services, with African American and Latino patients being significantly underserved. According to Taxis (2006), focus groups conducted with African Americans indicated a lack of knowledge about the scope of services provided, eligibility requirements, and the costs of such programs. Focus group participants also perceived a philosophical difference between hospice care, which involves acknowledging and planning for one’s death, and their own beliefs about prolonging life. Finally, participants reported some mistrust of the health care system, which might have hindered their willingness to allow health care workers into their homes. One of the more controversial topics in the death and dying literature is euthanasia, or the practice of ending a patient’s life to stop his or her suffering. Euthanasia can be either active euthanasia, in which a lethal dose of drugs is administered to bring about the patient’s death, or passive euthanasia, in which life support or other medical treatment is withheld to bring about the patient’s death. For the past 30 years, opinion polls have indicated that anywhere from 50 to 75 percent of Americans supported a person’s right to end his or her own life if he or she were diagnosed with a terminal disease. Additionally, surveys conducted between 1990 and 1998 indicated that a majority of Americans supported the idea of allowing physicians to assist those who wanted to die under those circumstances (Allen et al., 2006). Studies of racial differences in attitudes toward euthanasia have found that African Americans are less likely to support euthanasia than whites are (Wasserman, Clair, & Ritchey, 2006). Religious affiliation and involvement also are associated with group differences in attitudes toward euthanasia and physician-assisted suicide (Burdette, Hill, & Moulton, 2005). The Supreme Court has upheld the right of an individual to refuse life-support treatment or other medical treatment if he or she suffers from an incurable disease. Therefore, under those circumstances, passive euthanasia is legal in the United States. Active euthanasia including physician-assisted suicide is illegal in 49 states. In 1997 Oregon passed the Death With Dignity Act, which states that Oregon residents who are terminally ill may selfadminister a lethal dose of drugs that has been prescribed by a physician for that purpose. The Death With Dignity Act has withstood various legal challenges, including a federal lawsuit, Gonzalez v. Oregon. In January of 2006, the Supreme Court upheld the ruling of a lower court’s decision, which allowed the law to remain in effect (“FAQ about the Death with Dignity Act,” n.d.). Between 1998 and 2003, 171 people opted to end their lives under the guidelines of the Death With Dignity Act (Miller et al., 2004). According to the National Institute of Mental Health (NIMH), suicide was the 11th leading cause of death in the United States. Risk factors for suicide (in no particular order) include the following: (a) depression and/or other mental disorders; (b) substance abuse disorders; (c) stressful life events (in the context of other risk factors); (d) a prior suicide attempt; (e) a family history of mental illness, substance abuse, and/or suicide; (f) family violence; (g) access to lethal means of suicide such as a firearm; and (h) exposure to suicidal behavior by others. More women than men attempt suicide, but men are more likely to complete suicide, probably because they tend to select more lethal means for committing suicide. Men are more likely to commit suicide by a firearm than are women, and women are more likely than men to attempt suicide through poisoning or overdose. Certainly suicide among children and teens is always a cause for concern, and the rate of adolescent suicide has risen alarmingly in recent years. However, older white males continue to be the group at highest risk for suicide. European Americans in general have the highest rates of suicide among ethnic groups, followed by Native Americans. Latinos, African Americans, and Asian Americans commit suicide about half as often as European Americans and Native Americans. Contrary to popular myth, it is untrue that if someone talks about suicide, he or she is unlikely to commit suicide. Most people who commit suicide have talked to others about it in the past. Suicidal ideation or suicide attempts should be taken seriously, regardless of their objective level of lethality (NIMH, 2006). Kubler-Ross (1969) discussed five stages in dealing with one’s impending death: (a) denial, in which the person attempts to close off awareness of impending death; (b) anger, in which the person is enraged by the seeming unfairness of death; (c) bargaining, in which the person attempts to forestall death by making promises to him- or herself, or attempts to make deals with the powers-that-be; (d) depression, in which the reality of impending death sets in; and (e) acceptance, in which the person comes to a peaceful understanding of the inevitability of his or her death. Although Kubler-Ross’s work was highly influential, much research has been conducted on the idea that reactions to death, either our own or those of someone else, fail to follow predictable sequences such as those outlined by Kubler-Ross. As we already seen, our society appears to be profoundly uneasy about death and, at times, outright afraid of it. Fear of death is not necessarily a unitary construct; rather, it represents a group of fears, including such things as a fear of the unknown, fear of nonbeing after death, or fear of the dying process itself. Researchers have found that younger adults tend to fear death more than older adults (Cicirelli, 2001), and people with a strong belief in God’s existence, as well as a strong belief in an afterlife, tend to have lower levels of death anxiety (Harding, Flannely, Weaver, & Costa, 2005). In everyday discussion, people often use the terms bereavement, grief, and mourning interchangeably. However, in the death and dying literature they have meanings that are distinct from one another. Although there is some variability among authors, the most common definition of bereavement is the state of having lost someone through death. Grief consists of the emotional and psychological reaction to bereavement, and mourning is defined as the way grief is expressed. How people experience grief, and how, or even if, grief becomes resolved, have been the subject of intense theoretical focus. For more than 30 years, the field was dominated by the “grief work” perspective, which was based in part on psychoanalytic theory, and developed further through the work of Lindemann. According to the grief work perspective, working through grief is necessary to resolve it. One must acknowledge the reality of the loss, as well as express and work through the resulting feelings. Otherwise, the individual is at risk for grief-related complications (Center for the Advancement of Health, 2004a). On its face, the grief work perspective sounds a bit like common sense. Many of us have been exposed to the idea that we must acknowledge, express, and work through our feelings in order to resolve them. However, the grief work perspective rests on a number of assumptions, such as the idea that outward expression of distress is necessary to resolve grief, and that failing to express this distress is an indicator of pathology. Currently, there is little empirical evidence to support either of these ideas (Wortman & Silver, 2001). More research is needed to shed light on the validity of this approach. Bowlby (1980), an attachment theorist, developed a stage theory of grieving that was an extension of his views on attachment and also based in psychoanalytic theory. According to Bowlby, the early part of grief, the protest phase, was similar to a child’s initial reaction to being separated from his mother, and was characterized by intense distress as well as seeking proximity to the lost loved one. As the reality of the loss sets in, the person shifts from an agitated state to a state of lethargy and despair. Finally, the individual begins to take control of his or her life once more, and loosens the attachment bond to the lost loved one, a phase that Bowlby called detachment. Bowlby’s work, and that of subsequent attachment researchers, has been of major influence in the study of bereavement. However, as noted above, there is now a great deal of evidence to indicate that bereavement is a very individual process, and does not follow a predictable sequence of stages. In addition, some controversy exists about the necessity of loosening emotional bonds in order to resolve grief, with some researchers arguing that maintaining a continued relationship with the deceased serves an adaptive function, and others seeing it as maladaptive under particular circumstances. For example, one study of widows found that in early bereavement, using the continuing bond (feeling a continuing presence of and relationship with the deceased) as a coping mechanism led to negative feelings, whereas later in bereavement, using the continuing bond as a coping mechanism helped to decrease negative feelings (Field & Friedrichs, 2004). There also appears to be some cultural variation in the association between continuing bonds and the progression of grief. Lalande and Bonanno (2006) found that in China, higher levels of continuing bond early in bereavement were associated with better adjustment, whereas in the United States, higher levels of continuing bond early in bereavement were associated with poorer adjustment later in bereavement. Stroebe and colleagues applied a more general theory of coping (cognitive stress theory, developed by Folkman and colleagues) to bereavement, and in doing so developed the Dual Process Model of coping with bereavement (Stroebe, Schut, & Stroebe, 2005). According to the Dual Process Model, bereaved individuals have to cope with two different types of stressors, loss-oriented and restoration-oriented. Loss-oriented stressors are related to the loss of the deceased person, whereas restoration-oriented stressors are secondary stressors that are indirectly related to the loss, such as having to be responsible for household finances when the deceased spouse used to handle such things. Dealing with loss-oriented stressors, such as coping with the distress of separation from the lost loved one, is called loss-oriented coping. Dealing with restoration-oriented stressors, such as coping with the shift in identity from wife to widow, is called restoration-oriented coping. The Dual Process Model posits that a bereaved individual goes through a process of alternating between confrontation and avoidance of these stressors. When confronting loss-oriented stressors, the individual avoids restoration-oriented stressors, and vice versa. This process is called oscillation. According to Stroebe and colleagues, oscillation is both a short-term process and a long-term one. Oscillation between loss-oriented coping and restoration-oriented coping may occur from one moment to the next, but there also appears to be a long-term shift from more loss-oriented coping early in bereavement to more restoration- oriented coping later in bereavement. Just as Stroebe et al. used a general theory of coping to develop the Dual Process Model, Bonnano and colleagues (e.g., Bonanno & Kaltman, 1999) used a general model of emotion, the social-functional perspective, to examine the adaptability of various emotional reactions related to bereavement. Whereas the grief work view emphasizes expression of negative emotions as important to resolution of grief, the social-functional approach examines the possible adverse effects of this expression. For example, prolonged expression of anger or sadness may disrupt social networks, which may in turn prolong or worsen grief. The social-functional approach, then, examines the potential adaptability of reduced experience and expression of negative emotions. It also examines the role of positive emotions, such as laughter, in assisting with bereavement. Several researchers have found that expression of positive emotion in bereavement is predictive of better adjustment (e.g., Bonanno & Kaltman, 1999). An alternative view of grief concerns “meaning-making,” a theory developed by Neimeyer (2000). According to Neimeyer, resolution of grief depends on the person’s ability to create meaning from the loss. Creating meaning involves two independent processes that occur simultaneously. First, the bereaved individual attempts to make sense of the loss by incorporating it into his or her worldview. Because losses that are outside the realm of the person’s worldview are less likely to be incorporated, they are more likely to create complications in grief. An example of this might be the loved one of a murder victim, where murder was something that was far removed from the bereaved person’s experience of the world. Second, the person’s ability to find any benefits that have been gained from the loss is likely to assist with resolution of grief. Although the meaning-making perspective has intuitive appeal, it is not without its critics. According to Davis and colleagues, research in the area of grief resolution indicates that although a majority of bereaved clients do attempt “meaning-making,” those who do not search for meaning are no less well-adjusted than their meaning-seeking counterparts. In addition, Davis and colleagues found that those bereaved clients who sought to “make meaning” and were unable to do so were actually in worse shape than those who did not seek meaning at all. Finally, Davis and colleagues found that even for those who were able to create meaning from the loss, the search for meaning continued even after this so-called resolution. Neimeyer (2000) interpreted these results to mean that therapists should allow the clients to bring up the search for meaning, rather than assume that all clients need to complete such a search. Neimeyer also stated that it was important for therapists to realize, and to communicate to their clients, that meaning-making is a process rather than a destination, and is likely to continue indefinitely. However, given that the large majority of bereaved individuals do attempt some form of “meaning-making” following a loss, Neimeyer believed it was important for therapists to be aware of this process. Various authors have attempted to integrate aspects of these theories into a coherent framework. For example, Stroebe and colleagues integrated the Dual Process Model of coping with attachment theory to examine the possibility that adults with different styles of attachment may have different grief experiences. As research continues to accumulate in this important area, these efforts to synthesize theories of bereavement will no doubt continue. Most people who have experienced grief will tell you that there is nothing “normal” about it, in terms of how different it is from their everyday experience. Although most people who experience grief do manage to return to their pre-bereavement level of functioning, there is a subset of people for whom grief is longer lasting, more intense, and more debilitating. Some researchers have labeled this more debilitating grief as complicated grief, or traumatic grief. Currently there is some controversy about whether complicated grief is actually a separate phenomenon from other disorders, such as major depression or an anxiety disorder. In addition, some researchers have questioned whether so-called “normal” grieving follows a predictable enough course to distinguish it from complicated grief. However, recent evidence points to the idea that there is only partial overlap between the symptoms of complicated grief and the symptoms of depression, anxiety disorders, or post-traumatic stress disorder. This provides support for the notion that complicated grief does represent a problem distinct from other disorders. Recently, preliminary efforts have identified symptoms of complicated grief that include separation distress, as well as post-traumatic symptoms such as intrusive thoughts about the loss. Future research will provide additional information about complicated grief being qualitatively distinct from normal grief (Matthews & Marwit, 2004). Grief is, without doubt, an experience that varies from individual to individual. However, there is considerable literature examining the association of various factors to differences in the experience of grief. These can be divided into (a) characteristics of the bereaved person, (b) factors related to the death, and (c) characteristics of the context in which the bereavement takes place. Characteristics of the bereaved person. Several of the most salient characteristics include age of the bereaved individual, selected personality characteristics, a resilient temperament, and degree of religiosity. With regard to age, research has demonstrated that older bereaved adults tend to experience more short-lived and less severe grief reactions than do younger adults. In a study of bereaved children, McClatchey and Vonk (2005) found that nearly two thirds of their sample was experiencing moderate to severe levels of post-traumatic symptomatology. Perhaps most important, this was true for children whose parent’s death was expected, as well as for children who had lost their parent unexpectedly. Personality characteristics in the bereaved individual may influence the course of grief. For example, higher levels of self-esteem have been associated with less distress during bereavement. Internal locus of control, or one’s belief in one’s ability to influence or control what happens to one’s self, is also associated with less distress during bereavement. Optimism, or a basic tendency to view things in a positive manner, was associated with using adaptive coping mechanisms in dealing with grief, such as problem solving and positive reappraisal, rather than maladaptive coping mechanisms such as rumination (Moskowitz, Folkman, & Acree, 2003). According to Bonanno and colleagues, some individuals exhibit what is known as resilience, or the ability to maintain stability and healthy levels of functioning even in the face of extremely difficult events, such as the death of someone close to them. In examining resilience in bereaved parents and spouses, Bonanno and colleagues found that resilient individuals did not differ from nonresilient individuals in the quality of their relationship with the deceased loved one. However, resilient individuals were viewed by their close friends as more positive and better adjusted than were nonresilient individuals (Bonanno, Moskowitz, Papa, & Folkman, 2005). According to Moscowitz et al. (2003), the evidence associating degree of religiosity with bereavement outcomes is contradictory. Some studies have reported that religiosity has a beneficial effect on grieving, possibly because of the “meaning-making” opportunities that religiosity provides. Other studies have reported no such benefits, and still other studies have reported a negative effect of religiosity on coping with bereavement. Some researchers have asserted that religiosity is too general a variable to make meaningful associations between it and coping with bereavement. Instead, they have examined religious beliefs that are specific to death, such as belief in an afterlife, belief in the continuing existence of the deceased person, and feelings of continuing relationship with the deceased person after death (Park & Benore, 2004). Characteristics of the death. There is now ample evidence that losing a loved one through violent means (suicide, homicide, or accident) is associated with increased risk of complicated grief, depression, or post-traumatic symptoms. It has also been reported that the death of a child is associated with greater risk of complicated or traumatic grief (Center for the Advancement of Health, 2004b). Characteristics of the context in which bereavement occurs. In its report on bereavement and grief research, the Center for the Advancement of Health stated that pre-loss experiences may be associated with the level of adjustment following bereavement. Examples of this may include the quality of relationship to the deceased. In a study of bereaved individuals whose spouses had died, it was found that widows who had reported a higher degree of emotional warmth in the relationship, as well as a greater degree of dependence upon the spouse, experienced more yearning for the deceased spouse than did widows who had a more conflictual relationship with their spouses. Whether the bereaved spouse had served as caregiver for the deceased may also have an impact on adjustment to bereavement. It was previously assumed that bereaved spouses who were also caregivers may experience more post-bereavement adjustment problems. However, the picture may be more complicated than this. Some studies reported that caregivers who experienced strain in the caregiving role had more difficult post-bereavement adjustment than caregivers who were not strained (Center for the Advancement of Health, 2004b). Other studies reported the opposite results, with highly strained caregivers reporting greater difficulty in post-bereavement adjustment. However, caregivers who were able to find positive meaning in caregiving reported that their depression was reduced several months post-bereavement (Moskowitz et al., 2003). One area of the bereavement context that has consistently been associated with better adjustment is the degree of social support. According to Moskowitz et al. (2003), both perceived and actual social support, as well as the degree of satisfaction with social support, the extensiveness of one’s social network, and the frequency of visits by those in one’s social network, are all associated with better adjustment after bereavement. Given the predominance of the grief work perspective until recent years, it would be tempting to assume that obtaining treatment for grief, through individual therapy or support groups, would automatically be helpful in resolving grief. However, a review of the research on treatment of grief would suggest otherwise. Fortner and colleagues (as cited in Neimeyer, 2000) reviewed the controlled studies in grief treatment and found that for so-called “normal” grief, grief treatment provided, at best, a slight benefit, and there was actually a risk of grief treatment making grief symptoms worse. However, Fortner and colleagues did find that for those experiencing traumatic or complicated grief, grief treatment provided greater benefit and less risk than for those experiencing normal grief. Neimeyer concluded that one should not automatically assume that treatment for grief will automatically be beneficial for the bereaved individual. Mourning is the outward manifestation of grief. It may include outward expressions of grief, such as crying, but it also includes the rituals surrounding the death in which the bereaved individual participates. Mourning rituals vary greatly by culture. For example, mourning in the Orthodox Jewish community is closely governed by a set of rules, including how the body should be handled, who should mourn and for how long, and what constitutes appropriate dress and behavior during mourning. Features of this mourning process include the Tahara, or the ceremonial preparation of the body, and the Shiva, or the seven-day period in which mourners remain home after the burial. Shiva includes customs such as washing one’s hands before entering the home and eating a ceremonial meal of condolence (Weinstein, 2003). Regardless of cultural variability, most if not all societies have some form of ritual for caring for the dead and assisting the bereaved. In the United States, as in many cultures, a funeral service is a common mourning ritual. According to Kastenbaum (2004), historically funerals served a number of functions. They gave the living an opportunity to help the dead in their transition. In some cases this was done out of a desire to help the dead in their journey, but in some societies it also protected the living, either from the dead themselves or from other supernatural forces that would punish a society that did not complete its obligations to the dead. Kastenbaum notes, “Funerals traditionally have provided both an endpoint and a starting point. The passage from life to death is certified as complete, so the survivors now can turn to their recovery and renewal. The effectiveness of funerals to achieve this bridging purpose can be compromised, however, by some characteristics of our times” (p. 8). First, technological advancements mean that families no longer play an active role in preparing the body, which may reduce the amount of release they experience in funeral preparation. Second, rapid societal change means that there may be conflict between generations in terms of needs and expectations for the funeral. Third, fewer people are now involved in mainstream religious traditions, which may impact the spiritual relevance of traditional funeral services. Finally, more people are without significant interpersonal ties, which may make their funerals perfunctory and lacking in meaning. According to Kastenbaum (2004), some people are responding to these challenges by becoming more innovative in ensuring that funerals reflect their way of life and/or the way of life of the person who has died. Issues surrounding death, dying, and bereavement loom large in our culture. Whether we are examining the ethical issues surrounding euthanasia, the advisability of advance directives, or the factors that influence grief, it is clear that there has been a great deal of recent work done in the area of death, dying, and bereavement. A review of the literature prompts the conclusion that grief is very much an individual process. Research has failed to support the idea that individuals grieve according to a predictable sequence of stages. In fact, many of our basic assumptions about grief, such as the idea that extreme distress is an inevitable part of grief, or that failing to exhibit such distress is an indicator that something is wrong, have been unsupported by empirical research. However, even given the individual nature of grief, there are factors that influence the course of grief, and the aforementioned research is a testament to this. Future directions should include continued work in the integration of the major theoretical perspectives in grief. In addition, current efforts in the area of complicated grief should continue, together with efforts to identify risk factors for complicated bereavement. Future research should also continue to examine differential responses to treatment for complicated versus typical grief as well as protective factors in dealing with grief, such as a resilient temperament and the expression of positive emotion. Allen, J., Chavez, S., DeSimone, S., Howard, D., Johnson, K., LaPierre, L., et al. (2006). Americans’ attitudes toward euthanasia and physician-assisted suicide, 1936–2002. Journal of Sociology and Social Welfare, 33(2), 5–23. Bonanno, G. A., & Kaltman, S. (1999). Toward an integrative perspective on bereavement. Psychological Bulletin, 125(6), 760–776. Bowlby, J. (1980). Loss: Sadness and depression. New York: Basic Books. Bullock, K. (2006). Promoting advance directives among African- Americans: A faith-based model. Journal of Palliative Medicine, 9(1), 183–195. Burdette, A. M., Hill, T. D., & Moulton, B. E. (2005). Religion and attitudes toward physician-assisted suicide and terminal palliative care. Journal of the Scientific Study of Religion, 44(1), 79–93. Center for the Advancement of Health. (2004a). Chapter 2: Themes in research on bereavement and grief. Death Studies, 28(6), 498–505. Center for the Advancement of Health. (2004b). Chapter 5: Outcomes of bereavement. Death Studies, 28(6), 520–542. Cicirelli, V. G. (2001). Personal meanings of death in older adults and young adults in relation to their fears of death. Death Studies, 25, 663–683. Crane, M. K., Wittink, M., & Doukas, D. J. (2005). Respecting end-of-life treatment preferences. American Family Physician, 72(7), 1263–1270. Elliott, J. M. (2003). Brain death. Trauma, 5, 23–42. Field, N. P., & Friedrichs, M. (2004). Continuing bonds in coping with the death of a husband. Death Studies, 28, 597–620. Harding, S. R., Flannelly, K. J., Weaver, A. J., & Costa, K. G. (2005). The influence of religion on death anxiety and death acceptance. Mental Health, Religion, and Culture, 8(4), 253–261. Hays, R. M., Valentine, J., Haynes, G., Geyer, J. R., Villareale, N., McKinstry, B., et al. (2006). The Seattle pediatric palliative care project: Effects on family satisfaction and health-related quality of life. Journal of Palliative Medicine, 9(3), 716–718. Iwashyna, T. J., & Chang, V. W. (2002). Racial and ethnic differences in place of death: United States, 1993. Journal of the American Geriatric Society, 50(6), 1113–1117. Kastenbaum, R. (2004). Why funerals? Generations, 28, 5–10. Lalande, K. M., & Bonanno, G. A. (2006). Culture and continuing bonds: A prospective comparison of bereavement in the United States and the People’s Republic of China. Death Studies, 30(4), 303–324. Markson, L. J., Fanale, J., Steel, K., Kern, D., & Annas, G. (1995). Implementing advance directives in the primary care setting. Archives of Internal Medicine, 154, 45–59. Matthews, L. T., & Marwit, S. J. (2004). Complicated grief and the trend toward cognitive-behavioral therapy. Death Studies, 28, 849–863. McClatchey, R. S., & Vonk, M. E. (2005). An exploratory study of post-traumatic stress disorder symptoms among bereaved children. Omega, 51(4), 285–300. Miller, L. L., Harvath, T. A., Ganzini, L., Goy, E. R., Delorit, M. A., & Jackson, A. (2004). Attitudes and experiences of Oregon hospice nurses and social workers regarding assisted suicide. Palliative Medicine, 18, 685–691. Minino, A. M., Heron, M. P., & Smith, B. L. (2006). Deaths: Preliminary data for 2004. National Vital Statistics Reports, 54(19), 1–50. Mitchell, S. L., Teno, J. M., Miller, S. C., & Mor, V. (2005). A national study of the location of death for older persons with dementia. Journal of the American Geriatric Society, 53(4), 299–305. Moskowitz, J. T., Folkman, S., & Acree, M. (2003). Do positive psychological states shed light on recovery from bereavement? Findings from a 3-year longitudinal study. Death Studies, 27, 471–500. Neimeyer, R. (2000). Searching for the meaning of meaning: Grief therapy and the process of reconstruction. Death Studies, 24, 541–558. Park, C. L., & Benore, E. B. (2004). Death-specific religious beliefs and bereavement: Belief in an afterlife and continued attachment. The International Journal for the Psychology of Religion, 14(1), 1–22. Puswella, A., Devita, M., & Arnold, R. M. (2005). Determining brain death: The neurological criteria. Journal of Palliative Medicine, 8(3), 640–641. Schonwetter, R. (2006). Hospice and palliative medicine: Ten years has made a difference. Journal of Palliative Medicine, 9(2), 236–238. Stroebe, M., Schut, H., & Stroebe, W. (2005). Attachment in coping with bereavement: A theoretical investigation. Review of General Psychology, 9(1), 48–66. Taxis, J. C. (2006). Attitudes, values, and questions of African Americans regarding participation in hospice programs. Journal of Hospice and Palliative Nursing, 8(2), 77–85. Wasserman, J., Clair, J. M., & Ritchey, F. J. (2006). Racial differences in attitudes toward euthanasia. Omega, 52(3), 263–287. Weinstein, L. B. (2003). Bereaved Orthodox Jewish families and their community: A cross-cultural perspective. Journal of Community Health Nursing, 20(4), 233–243. Wortman, C., & Silver, R. (2001). The myths of coping with loss revisited. In M. Stroebe (Eds. ), Handbook of bereavement research: Consequences, coping, and care (pp. 405–431). Washington, DC: American Psychological Association.